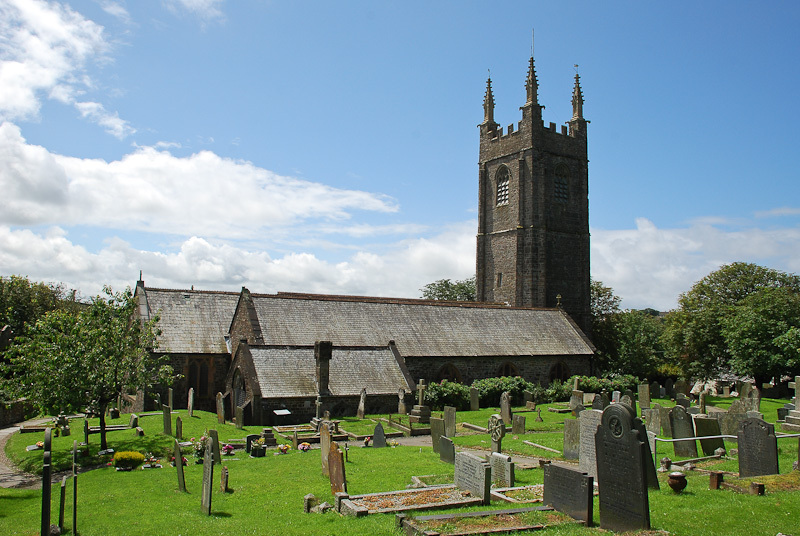 Hawker’s father, Jacob Stephen Hawker, was the second son and fourth child of the well-known preacher and vicar of Charles Church, Plymouth, the Rev. Robert Hawker DD. 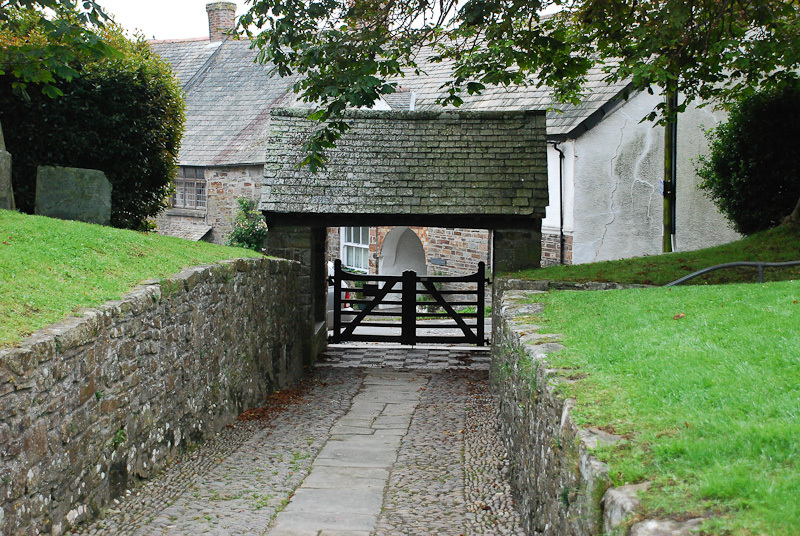 Little is known about Jacob’s early years but he practised initially as a surgeon in Plymouth before marrying Elizabeth Jane Drewitt and taking Holy Orders. 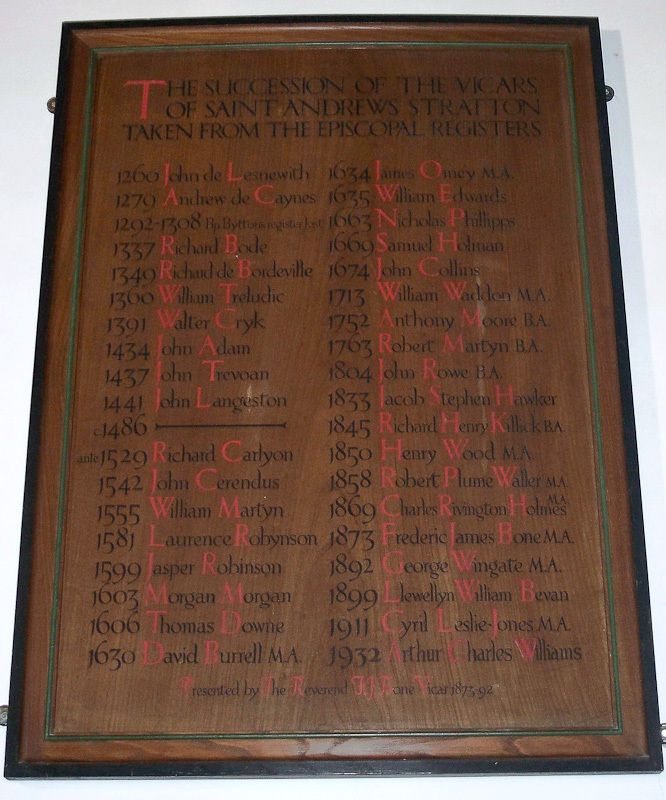 His first post as curate was at Altarnun and he moved to Stratton, still as a curate, in around 1813. In 1833 he became vicar of the parish and Stratton remained his home until his death in 1845 at the age of 67. 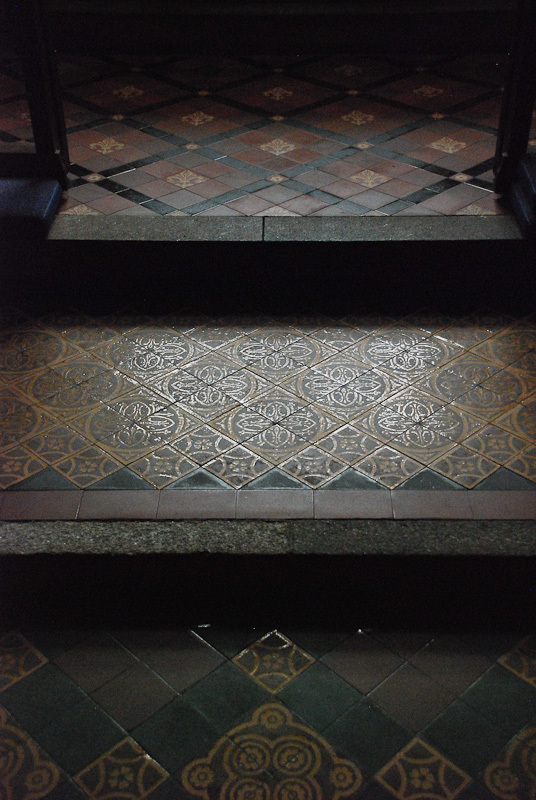 He is buried in front of the altar of St Andrew’s church and commemorated by a brass memorial plaque in the floor (see picture below). 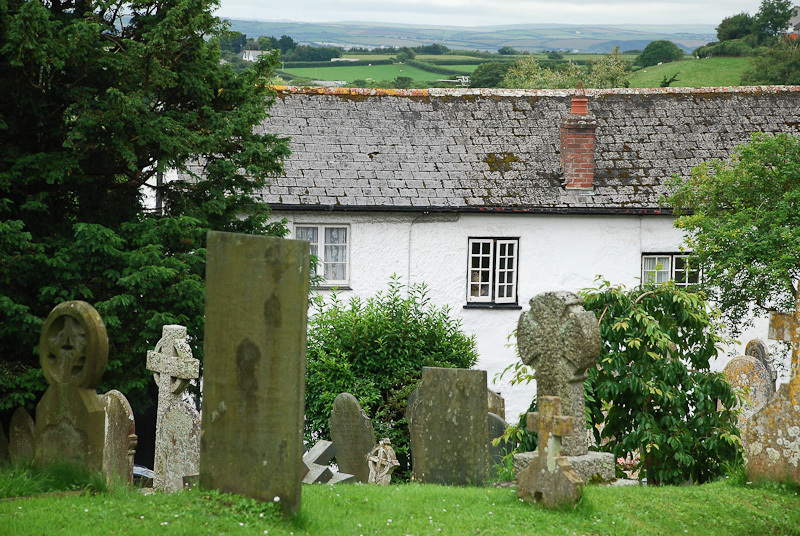 His vicarage, which stood to the east of the churchyard, has since been demolished. Hawker spent most of his early years living with his grandparents in Plymouth but after his father’s move to Stratton he began to spend holidays there with the rest of his family. A number of stories have survived which apparently illustrate his tendency to high spirits and impulsive behaviour as well as his habit of inventing elaborate practical jokes. The ‘traditions still current of the pranks which he played’ were recorded by his son-in-law Charles Edward Byles in his biography, The Life and Letters, published in 1906. More than ninety years had elapsed since the events in question and these accounts inevitably have an over-rehearsed air; as Byles notes at least one tale was also told at Liskeard in connection with a shopkeeper there. Robert was the eldest of Jacob and Elizabeth’s nine children (five boys and four girls) but among all the accounts of his escapades in Stratton I have only been able to find a single reference to a sibling – an unnamed brother reputed to have played a part in consuming a stolen roast chicken set aside for use as a prop in a local play. 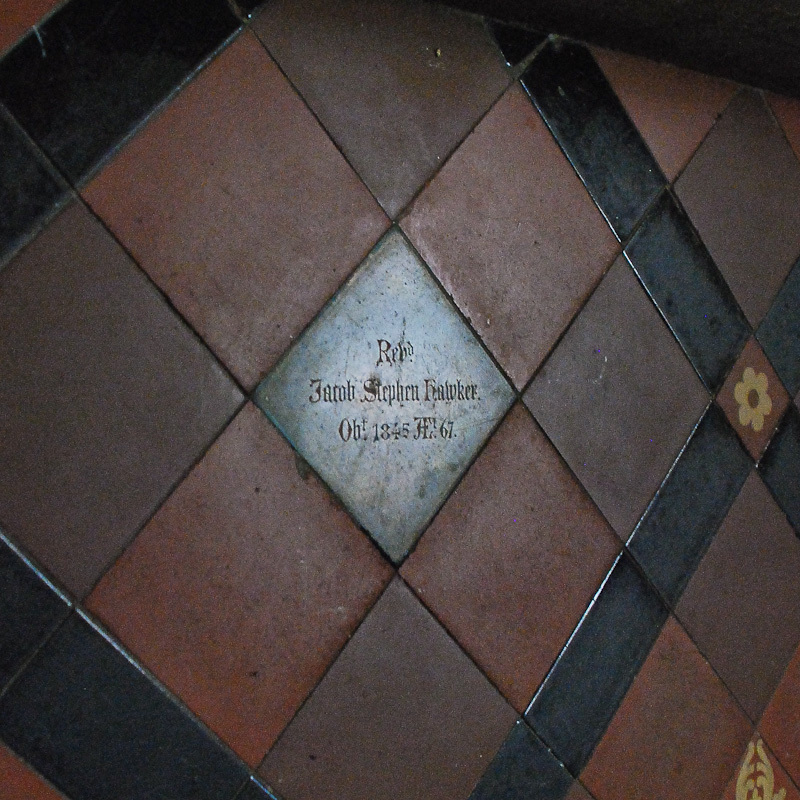 The small brass memorial plaque to Jacob Hawker is set into the floor tiles in front of the altar. It was hidden under carpet for many years but has now been uncovered. Revd. Jacob Stephen Hawker. Obt. 1845 AEt. 67. 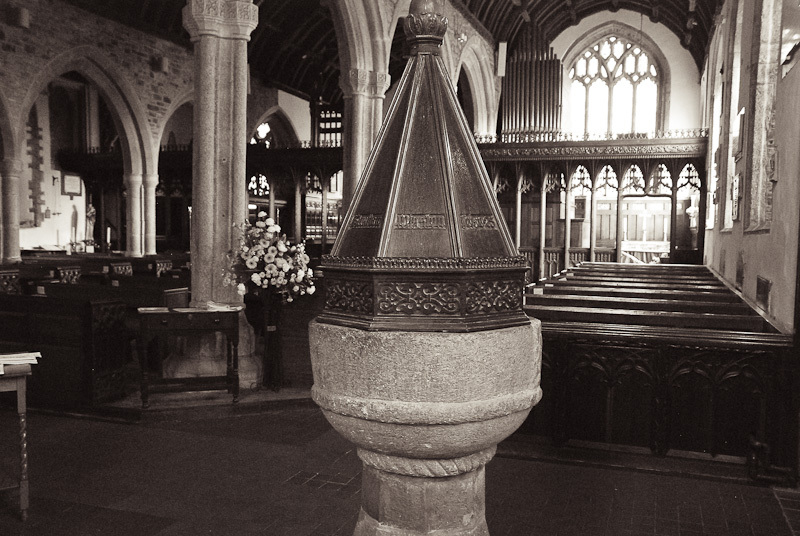 The Norman font dates from the 12th century. The octagonal granite pedestal on which it now stands is probably a Victorian addition. The rood screen was designed by E. H. Sedding and dates from 1901. The Royal Arms on the north wall of the Lady Chapel. 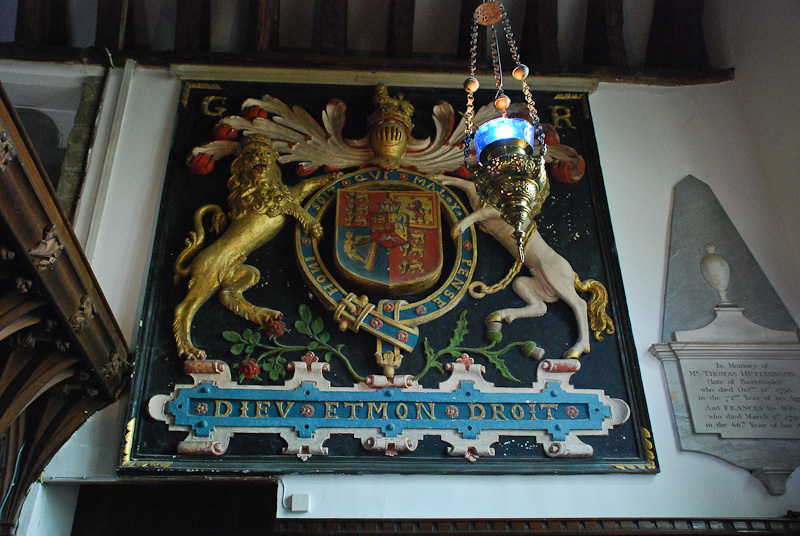 On the restoration of the monarchy under Charles II similar Arms were put up in many Cornish churches. Detail of a memorial brass to Sir John Arundel of Trerice who died in 1561. The brass stands against the west wall of the church and is still in its original stone matrix. At one time it formed the top of an altar tomb at the east end of the south aisle. 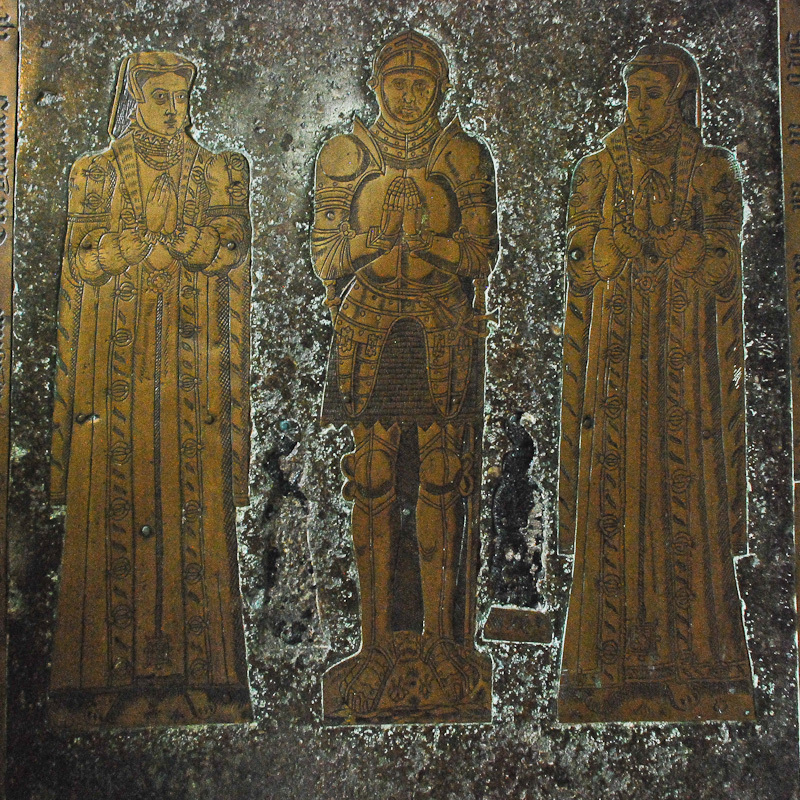 Sir John is shown between his two successive wives. Many thanks to Nicola Trzaska-Nartowski for informing me of the discovery of Jacob Hawker’s memorial plaque, as well as sharing much other valuable and interesting knowledge on Stratton and its history. 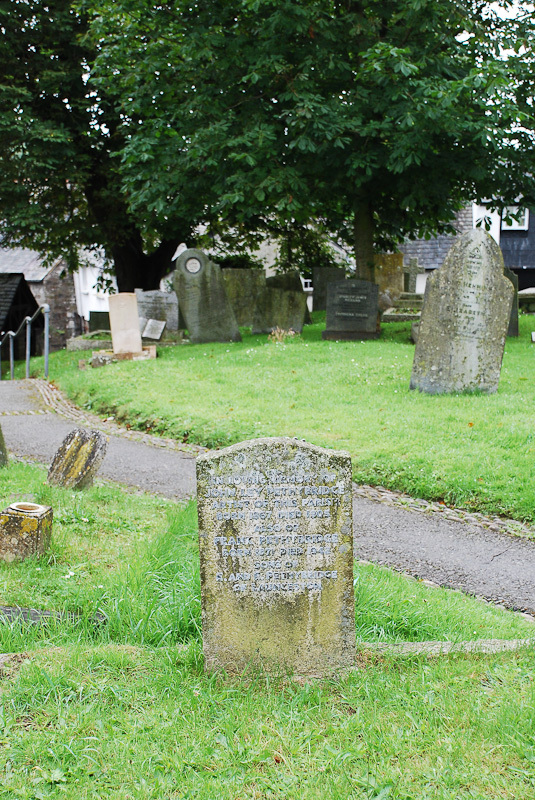 Further details of burials and memorial inscriptions can be found in The Memorials and Burials of St Andrew’s Church, Stratton, by Ian & Val Barker and Barbara & Mike Worden.